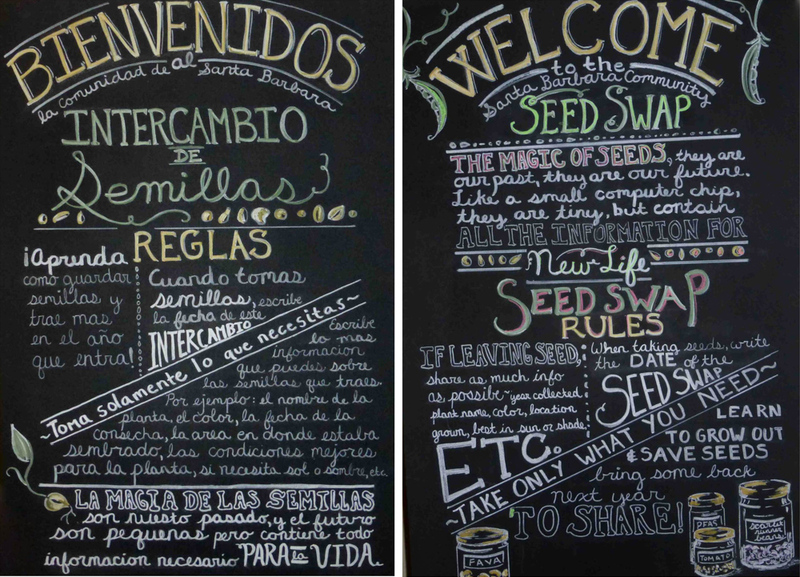 Santa Barbara’s annual seed swap takes place on Sunday, accompanied by an interesting array of speakers that will include UCSB’s Anabel Ford talking about Maya forest gardens and Mariko Davis, who is a longtime grower of the nutrient-dense moringa. Compost tea, Andean seeds, biochar, and insect habitats are other topics that will be featured from 2:30 to 4:20 p.m., while gardeners gather at Trinity Lutheran Church to share and swap their seeds, plants, cuttings, and knowledge. Onsite experts include master gardeners, personnel from the Santa Barbara Botanic Garden, and beekeepers. The event is often a place where first-time gardeners can acquire the more-expensive organic or heirloom seeds, said Margie Bushman, who is one of the organizers. The event takes place 1:30-4:30 p.m., January 27, at Trinity’s community garden (909 N. La Cumbre Rd. ), which will be open for tours. Music will be provided by the Glendessary Jam and food by the Mobile Café food truck. The woman who’s fed fresh, healthy food to countless Santa Barbara schoolchildren via the truck, Nancy Weiss, will be honored as a “food hero” at the event.